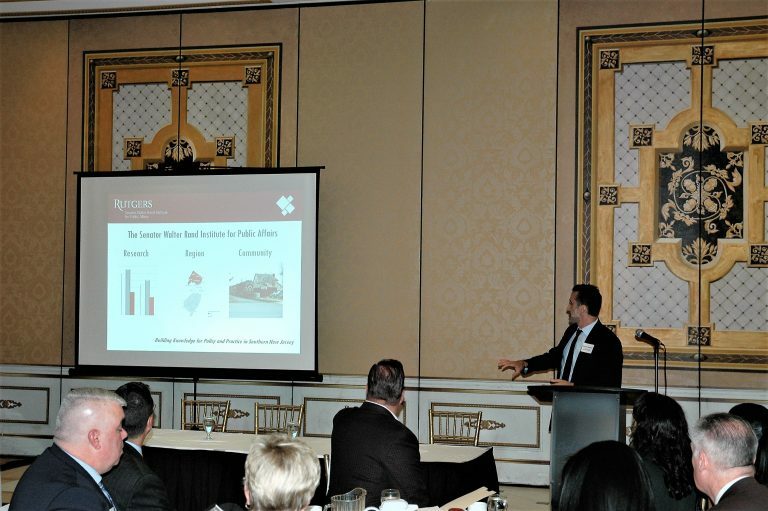 On October 22, 2018 WRI presented findings from our report, “Turning Toxic Liabilities into Community Assets” at a regional community forum. Nearly 100 attended to learn about NJ’s foreclosure problem, housing affordability, and proposed solutions. WRI executive director Darren Spielman presented the report, which was written by Paul Smith and developed in partnership with Land Dimensions. Inc. and The Financial Wellness Institute. Robert Curley, TD Bank South Jersey Market President, served as master of ceremonies. 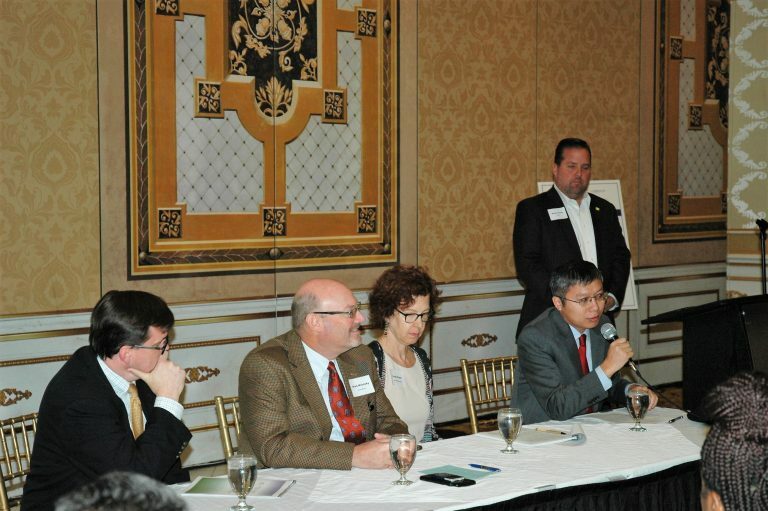 A panel discussion featured Brad Molotsky, a partner for Duane Morris LLP; Sean Closkey, president of ReBuild Metro; Linda Fisher, a Seton Hall Law School professor; and Lei Ding, a senior community development economic advisor for the Federal Reserve Bank of Philadelphia. 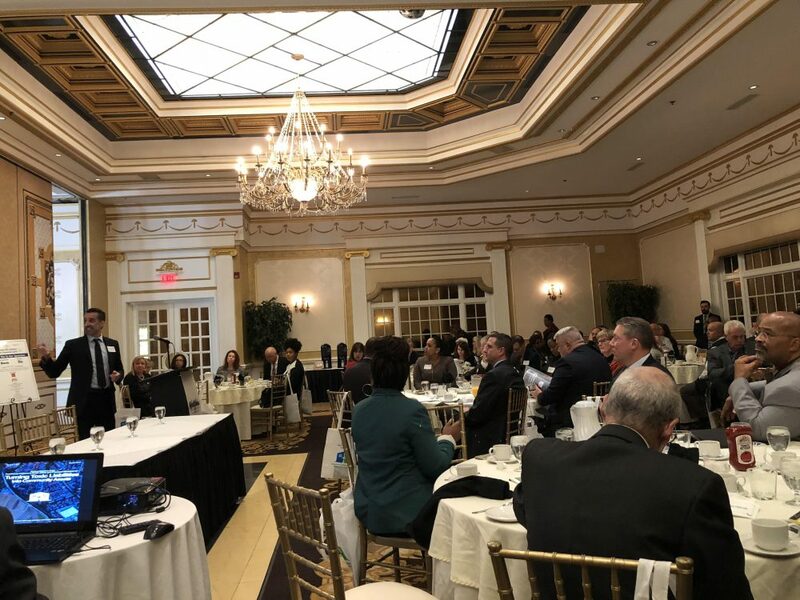 Guest speakers included Michael Affuso, executive vice president of the New Jersey Bankers Association, E. Robert Levy, executive director of and counsel to the Mortgage Bankers Association of NJ, the Honorable Albert Kelly, Mayor of Bridgeton and President/CEO of Gateway Community Action Partnership, and Cathleen Bennett, President/CEO of the New Jersey Hospital Association. New Jersey ranks at or near the top in housing cost in the United States, consistently ranks first or second in foreclosure rates, and lacks sufficient “workforce” housing – entry-level housing within reach of working-class and middle-income residents. The challenge is acute in South Jersey, where we have six of the eight counties with the highest foreclosure rates in the state and better than 50% of renters and 40% of homeowners in those counties pay more than 30% of their gross income on housing. Convene a group of stakeholders, including elected officials and representatives from financial institutions, to discuss the foreclosure process and its effect on the housing market and local economies. The recent Special Commission on Residential Foreclosures is a promising step. Work with tax-lien holders and municipalities to acquire and rehabilitate vacant and abandoned properties, and repurpose these properties for owner occupancy or rental. Create a South Jersey Revolving Loan Fund to provide nonprofit organizations with capital to acquire and rehabilitate real-estate-owned, abandoned, and vacant properties. Page last updated by Senator Walter Rand Institute for Public Affairs at 11:40 am December 21, 2018 . This page was printed from http://rand.camden.rutgers.edu/toxic-liabilities-to-community-assets/ at 8:45 PM Saturday, April 20, 2019.